It’s not easy putting together a rock band and turning it into a success, but imagine that while you’re struggling, your friends from school are turning into one of the biggest bands in the world. That’s what happened to Neil and Ivan McCormick, a couple of guys from Dublin who were friends with Paul Hewson and David Evans. The latter two went on to fame and fortune as Bono and The Edge, leaders of U2, with their best-selling albums, concerts, and faces on posters all over the world — their success only made Neil more and more jealous. 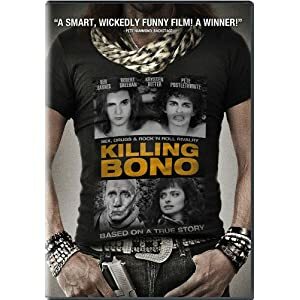 That’s the story of “Killing Bono,” which follows Neil through his attempts to become a rock star and the series of bad decisions that keep him (and Ivan) from achieving every garage band’s dream — while seeing an old friend become bigger and bigger. It’s not a documentary, but is based on Neil’s true story, which he told in print a few years ago. 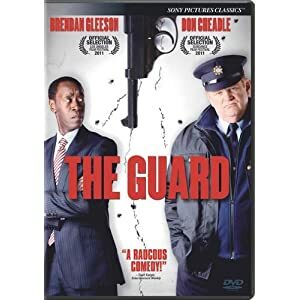 In “The Guard,” Brendan Gleason plays a police officer in Connemara who dislikes authority and doesn’t do anything by the book. Into his world steps Don Cheadle as an FBI agent working an international drug ring case. Naturally, the two don’t get along at first, but Cheadle eventually realizes there’s more to Gleason than his drinking, drugging, whoring, and racial insensitivity. This could easily be another fish-out-of-water/buddy-cop comedy, but the two leads are too good to let that happen, and the clever script keeps you on your toes, too.